The Hardscrabble Pant was designed to conquer unforgiving country and shine in the face of extreme elements. Crafted using MTN-X2 multi-directional stretch technology, this piece was born to excel at providing comfort and range of motion, while facilitating superior breathability and quietness. The Hardscrabble is an excellent all season hunting pant that has been mountain tested for durability to ensure quality for all your rugged, dangerous hunting adventures. The Hardscrabble Pant is the perfect all season pant with plenty of features that make it the obvious choice as your go to mens hunting pant. The interior grip waistband will keep pants around your hips where they belong, even after scrambling up a steep mountainside. When the thermals rise, reach for the dual zippered side vents to exhaust heat quickly allowing you to stay cool, dry, and comfortable during extended hunts. Dual zippered cargo pockets anatomically situated to ensure gear items are protected and easily accessible. And, to ensure these pants don’t let you down, every corner of this pant has been tested by extreme hunters who expect nothing but the best from their gear. These pants are awesome. Very durable and comfortable. I’ve had multiple high end hunting pants and these by far are the most versatile of them all. The vents on the side of the pants are great when the day gets hot and you need some extra ventilation. They are very quiet when going through the thick brush and the stretch makes it so you can climb over rocks/logs with out ripping out the crotch. I give these pants a 5 Star rating. Mont. These pants are great the stretch in them is awsome. They were very comfortable and i can tell they will hold up to my test of being in the mountains with me. These pants are also very reliable in the rain the water resistant performed above my expectations. These pants are great. Have not had them for long but tried them out on recent turkey hunt. Worked very well. Rained temps in 30’s and I stayed nice and comfortable. Agree that fit runs a little small. I typically wear 30-31 waist got the 32 which fit great. I know I will appreciate side zips once warms up. Overall happy with purchase. The quality and design of these pants have gone far above my expectations. The waist can stretch to create a super comfortable fit without falling down. The material is of superior quality and will withstand any condition and terrain. Great fitting pant that is easy to move in. I would highly recommend this product. These pants fit great. Most other companies pants ride lower on my hips and end up creating a uncomfortable fit after a short while into a hunt. The pockets are placed perfect and the hip zips are a great feature for when those cold mornings warm up. I wear a 33 in most jeans and ordered a 34. They fit nice but if I was going to add a base layer I would probably want to get a 36. Hope this helps somebody. I have been very pleased with the combination of durability and comfort these pants provide. I am very tough on clothing. I spend a lot of time in the thick oak and mahogany picking up sheds and hunting deer. These pants have lasted better than any I have ever owned. Most other brands seem to rip and tear but the skre fabric is much more durable. They also have plenty of stretch so I can move and hike in thick county. Add to that a great pattern and its five stars from me. These pants are great. I was unable to find long inseams in stock with other brands. I found out about Skre on .Monster Muleys and ended up purchasing the hardscrabble pant in 34 long. They fit my 6′ 1″ long leg frame perfect and I really like the tacky band inside the waist, the side vents and price. They were comfortable in the field and blood washed out easily after my recent mule deer harvest. My only major complaint was the fly is to short. I emailed Mike and he got back to me with in an hour to let me know that the fly will be 1 1/2 nches longer in future production. Great customer service, great product. I will buy more pieces in the future. Would love to see a solid earth tone color choise in the Hardscrable pant in the future too. Took out these pants several times and was impressed. They are very breathable and flexible which is nice for steep climbs and difficult terrain. I wore an old base layer underneath and was also comfortable sitting for periods of time in windy temps around 30 degrees. THe pants did well in light rain but do get wet in downpours, which makes sense as they are not mean to be a rain shell. Look forward to testing out the gear as temps drop and the mountains get snow. Overall I would recommend. These babies are nice . The fit and feel are great. The side vents really help let that mid to late day heat out. I am 6’2 with more leg than torso. The 36T fits good for length. I would say that the waist is runs small. I wear a 34w-36 inseam in all my jeans. These pants in a 36w are slightly tight around my hips and glutes. No resistance in the knees when I was climbing. Just beware of them running small, this will help you from having a return for wrong size. Overall a great pant vs price. Will be adding more to my collection. Ever since my brothers and I @Public Land Sportsmen laid eyes on SKRE at the WHE we had to get our hands on some! The Hardscrabbles are the most comfortable, versatile pants I’ve owned and I’ve worn it all. Kryptek, Core4Element, Sitka, you name it. These pants are by far my favorite pants so far. They fit me perfectly and I love the availability of the Tall sizes, because I’m over 6ft tall. The leg zips are perfect during the elevation gain to get to your glassing spot or on warmer afternoons when you need ventilation. Great product! Life customer! Just got the hardscrable pants I ordered a size larger and they fit perfect! Awesome customer service by the way. I bought these and the jacket for a hunting trip to Montana. The pants run small so plan on getting a size larger. They are very comfortable and seem to be very well constructed. I used them for five days with lots of hiking in temperatures from 30 – 70 degrees. I used a light base layer underneath and was very comfortable throughout the day. The side vents are awesome in letting the heat out and they have plenty of pockets for storing items. I also really liked the small rubberized band inside the waistband. It really helped keep my shirt tucked in and the pants from falling down when hiking around with a pack on all day. The quality of the SKRE gear I have purchased has been great and I can’t wait to use it during the upcoming elk season. I’ll also definitely be purchasing more. I have put these pants to the test all fall and winter, let me tell you they have passed the test! By far the most durable and comfortable pant I have worn. The pattern has gone with every type of terrain I’ve hunted in from desert to high country and great for all types of weather conditions. Definitely grab a size larger than you normally would, but overall extremely happy with these pants! I am beyond satisfied with the durability, warmth, comfortableness, and overall awesomeness of these pants. I stayed warm and dry during the wet deer season here in eastern Washington. And I successful stayed warm throughout the cold cold COLD duck season! I can’t wait to hit the hills when the snow melts a little more and find some bone in these still freezing temps! Good thing I’ll be warm! These pants are awesome! Haven’t had them for very long but am extremely excited to try them out this upcoming hunting season. Walked in shin height snow and was raining first time I wore them shed hunting, did about 6 miles with no base layer and I stayed dry and warm all day. They fit amazing, great material, and Mike could not be nicer dealing with you. Customer service alone this company should be in your closet! As an avid archery hunter I have always dreamed of a pant that was light enough to keep me from getting to hot in the warm temperatures of archery season but yet durable enough to last in the rugged terrain the high country has to offer. Last year at the hunting expo in salt lake my brothers and I stopped by the SKRE booth and I realized that my dream of the perfect early season pant had come true! I have owned these pants for a year now and been on many high country hunts/scouting trips with these and it’s one of my favorite pieces. Wether it’s walking through thick brush or crawling on rocks stalking a high country muley this pant has exceeded my expectations of comfort, durability, and temperature control. The rubber on the inside of the waist is a great feature of this pant allowing you to maneuver in any way you need without having to worry about your pants sliding around or falling off. The vents on the sides allow for excellent temperature control when the heat is up and you’re on that long pack into your backcountry camp or hauling out that heavy load from a successful hunt. I would recommend this product to anyone who is in search of the perfect early season pant! These are the best hunting pants I’ve owned. For 14 years I’ve been searching for pants that fit tall skinny guys and I finally found them. They keep me warm during the cold without being too bulky! They have vents for the hotter days to cool you down as well! I hunt harder than the average person and they have held up better than my underarmour pants ever did. These are durable, comfortable, and fit well. The camo is amazing camoflauge as well! My wife and I love Skre Gear and will continue to buy their gear, we can trust it to do what we need during our many hunts! 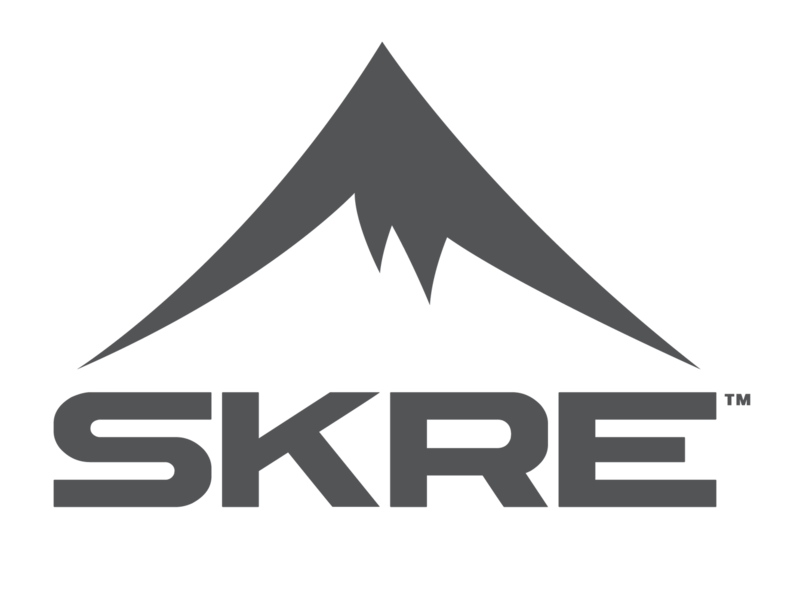 We highly recommend Skre Gear. I was overly pleased when I received my shipment. The construction is great with amazing attention to details. The waist band has a no -slip grip on it, the material is durable yet light and airy. They are great ventilation zippers on the upper leg, where you want them. They are quiet when walking and the camo pattern is impressive. I definitely recommend! I’ve used the Hardscrabble Pant in a myriad of different environments with temperatures varying drastically over the course of the day. The athletic fit is superb and is well suited for navigating through natural obstacles such as dead-fall and boulder fields. I am especially happy with the durability and have logged at least 60 days in the field with the same pair of pants. The vented legs are a huge bonus and keep the pants comfortable throughout the day. Versatility is the name of the game and these pants are well suited for hunting from the plains to the mountains and everything in-between. I’ve owned all the major Camo brands and SKRE is quickly becoming my go-to camo. I drew a once in a lifetime goat hunt and used my SKRE gear for the first time on that hunt. I had to make a long stalk in on the goats without a lot of cover and my SKRE got me in close enought to seal the deal! Love my SKRE clothing. I’ve had the Hardscrabble Pants for over a year now and have been nothing but pleased with their performance. They are comfortable, durable and easy on the eyes with the premium Hardscrabble camo pattern. Very breathable and moderately light weight, love the side zips! Perfect year round hunting pant, can unzip sides and or add layers. Wore these pants on a 5 day November elk hunt last fall. The stretch fabric is soft, supple and super comfortable. No binding, even when climbing through steep, rugged terrain. Ample pockets for storage without being obnoxious when full. My only criticism is that the legs seem to be a bit baggy for my liking, especially considering the athletic fit of the other gear offered by SKRE. All in all, a great value for what you pay for a quality, comfortable, well made pair of pants. Would definitely purchase again. Hands down the best pants I have purchased! I got to test these out last month at an outdoor 3D archery competition, the stretch and range of mobility was really nice. A great feature is the tacky interior waist band. I wore my weighted pack during the course, which tended to push down my old pants some, and the Hardscrabble pant stayed right up where they were supposed to. It was windy and chilly early in the day and the pants blocked the wind and kept my temperature regulated, but it warmed up in later that afternoon; the pants vented really nicely and breathe extremely well. Amazing pants! Very durable and quite. I’ve been out in these while it was snowing and at 80°. Even though they are not “rain gear” it will keep you dry in snow and light rain. I’ve not experienced a down pour in them but I’m sure I won’t be disappointed. Extremely satisfied and happy with my purchase. These are by far the most comfortable pants. They are stretchy allowing for easy and quiet climbing over obstacles while hunting/scouting. I really like the zip ups; I started in the late afternoon when it was a bit warmer, and then zipped up for more warmth as it cold a little chillier in the evening. These pants are great. They are very durable for going through thick brush and also very comfortable. The side vents are a must. I dont think I could own a pair without them now. Very affordable and very tough. If you only buy one pair of camo pants for year-round hunting then these are for you. Very comfortable to hike in. They perform great in hot and cold temperatures. I will be wearing these pants on every hunt this year. I bought these pants as well as the hardscrabble jacket for a sept. elk hunt in Montana last fall. We hike 8-12 miles daily up and down the ridges. I had planned on alternating these with my other store bought camo throughout the long week. Well, they were awesome…I wore them every day. They are stretchy and comfortable to hike in. They are tough…just stay away from fire embers. The tacky inner waistband keeps your pack from shoving them down in the back. The best part is the zip vents on the side thigh. Zipped they keep you warm in the mornings, but then unzip and you stay cool up the ridge in the afternoon. Get em, you wont regret it. Also, order a size larger than you normally wear. Great pants. Haven’t used them as much as I wish I had yet but have done some hiking in the mountains and so far I am pleased overall! The feel, fit, and flexibility is very nice. I called with some questions prior to purchasing and Mike was very helpful and informative. Definitely looking forward to using them more. Hardscrabbles are some of the most versatile pants I own. They due very well in cooler weather and the Teflon coating beads water off to keep them from soaking though. If you get that unexpected unseasonably warm day or really pushing hard and working up a sweat, simply open up the hip zips and cool off. This is a great pant design. Excellent for Montana climate. Tough, comfortable and reasonably priced. Very water repellent and the outer fabric dries quickly. No need for rain gear with these. I’ve got around 30 days of backpack mountain hunting on these and they are holding up better then the expensive brand I normally use. Blood washes out easily. Order a size up. Outstanding outer layer for spot and stock mountain hunting! I wear these pants early in the year for horn hunting, in September for bow season and October with thermals underneath for riffle season. They fit perfect, without restriction and are very comfortable. The material is quiet and durable. I highly recommend these pants. These pants are lightweight, comfortable, and durable. I wear these pants all throughout deer season, turkey season, and shed hunting! Being a woman on the small side, I ordered the smallest size available. They are still a little big, but they hold up just fine! I am definitely looking forward to the women’s line coming soon! SKRE offers great quality gear with excellent customer service! I wear a 32×32 Levi and went up a size like everyone says and it was spot on. Fit snug and able to get my under layers on without being to uncomfortable. Broke them in on a hike up here in Alaska. I felt like a mountain ninja it was the most enjoyable scouting trip in memory. Breaking through brush and not getting stabbed my the prickles and the dew wasn’t really sticking. And surprisingly quiet. Going to be nice for early season and late season (with some under layer or two). I am very impressed and am kicking myself for not just buying the bundle deal now. Sold on this product and look forward to buying more products in the future. Add another family to the buyers list! Thanks keep it up! Tried these pants and all I can say is WOW! Fit is a little small as noted, but the construction is perfect! I have been a fan of the kuiu attack pants from day one but these knock them out. Feels like I’m wearing my pajamas, but tough enough to withstand hundreds of miles of sage brush and scrub oak. The pattern is perfect for sage and high alpine. Still breaks up enough for heavy timber. After wearing it all summer scouting, and two weeks of archery antelope I’m a skre guy..
Just wish they would make solid colors.!!! Simply awesome pants. If they made these in colors other than camo I would wear them everyday. The stretch allows full range of motion and comfort even when you put a couple insulation layers under them. The pockets and side vents really help keep the boys cool when you are doing a lot of walking/hiking. I do recommend going up a size or two from normal depending on how you like your pants to fit and if you will have multiple layers. I originally went up one size but swapped them out for two sizes up so I could have multiple insulation layers without them getting too tight. The Hardscrabble Pants provided the versatility and durability I needed in a hunting pant. The material is both durable and flexible. Also the fabric is very breathable…this combined with the vent pockets make this my go to pant for hunting in conditions that go from cold to hot. Plus, if you use them as much as I do you want a pant that cleans up well and that keeps the integrity of SKRE’s unmatched camo pattern–easily the best hunting pants I have owned. Awesome pair of pants wore in Colorado elk archery hunt. These pants are second to NONE! The four way strech allows me to move in ways other pants just don’t allow. Also, the material is very quiet; which allows me to put a good stalk on an animal. Bottom line is these pants can write checks you CAN cash! In the past 10 days we put your skre gear thru the wringer 24 miles deep in the Montana mountains. We wore it day in- day out, up and down mountains, 100+ miles on horses, in rivers, 30 degrees to 90 degrees, and it never disappointed. The wildfires made us evacuate camp via horse for an all night ride to nearest USFS ranger station, Schafer. Thru it all Skre held up, had great breath-ability during day and warmth at night, while blending in well to all variations of our mountain and tree environment. Keep it up. Pants worked great on elk archery hunt in Oregon. They were cool enough with vents open to hike at 80+ degrees and warm enough at about 45degrees in the morning. Only thing I would change about these pants would be a more tapered fit on the legs since they are wide at bottom they tend to soak up dew and water a little more than other pants I have. They did hold much better to snags and fabric pulls compared to my kuiu attack pants. The rubber band inside the waist band does a great job holding in your under shirt also. I used the hard scrabble pants elk hunting this year. I wore them in all weather, from the 30’s to high 80’s. Love the tacky strip inside the waste band and the zippered pockets with oversized grips. They proved durable and rugged. Would suggest the to my friends and family. I have had the hardscrabble pants for two years. I consider their sizing excellent as they are one of the few product lines out there that make their pants for people who are taller than wider. I have had their competitor’s pants also, and I had to dart the waist line in 4 places to make the waist slim enough and the legs are barely long enough. So the sizing of the Hardscrabble for my 6 foot 170 lb long legged frame is excellent. The pants are durable and the cammo pattern shows no sign of fading. The fabric is slightly heavier then the competition model. The silicon inner waist line shirt retainer I see no need for while hunting. My only complaint with this product is the ventilation zippers. I hope it was only the pair I bought, but the ventilation zippers on the inside of the pant legs need to have the upper and lower ends covered with a piece of cloth. Imagine the plastic end of a coil zipper sticking out a 1/4 inch and scratching your leg every stride with no long johns on. This is irritating enough that I will have to figure out a way to sew a patch of cloth over the zipper ends inside the pant leg. This is the only reason I didn’t rate the product a 4 or 5. Funny that I see only 5 star ratings on your web site. Wow. Just WOW. These are awesome, lightweight, but sturdy pants. I recently wore them on a moose hunt in Maine, where over the week the temperatures went from the 80s down to the 30s. They worked great throughout, particularly when matched with the Kaibab base layers. On hot days, or after long hikes, the side vents were just amazing, and the material was tough as nails moving through alder thickets and crawling on the ground. The pockets are placed well and sit tight agains the body, so they don’t get caught up as much as other pants do when going through brush. Looking forward to wearing these all fall during archery hunts for deer. A great pair of pants that are sure to give me years and years of service. The hardscrabble pants are are the top of its class. They have great ventilation and amazing maneuverability. A person can hike all day in these pants while maintaining perfect temperature. I have put some miles on in these pants and they are holding up great. would recommend them to anyone looking for great quality at a reasonable price. Skre killed it with these pants. More comfortable than any other pants you will wear. Also very durable and breathable. They can be used for early season, or throw a layer underneath and be fine in the subzero late season in the Upper Peninsula of Michigan. These are priceless! These pant are great. This fitting is comfortable but remember that this system is meant to be layered so make sure to size accordingly. Even though these pants are not quoted as rain gear, the pants as well as the matching jacket kept me very very dry during several rains. I hunt the southeast and midwest for whitetails and turkeys and love this system. SKRE is the first high end camo I’ve ever bought. I’ve always settled for cheaper stuff with the attitude “this will work just fine” thinking spending an arm and a leg for camo was for folks with more money than sense and that it was all just a gimmick. I finally decided to give SKRE a shot and ordered a couple Wasatch shirts and the Hardscrabble pants for Christmas. Well, like anybody with new toys, I couldn’t wait to put the gear to use. The pants fit excellent and I liked that the inseams were finally long enough. I did order my regular size (36T) but if I order more, I’d go up a size just for a little more room. The material was awesome at repelling water and snow. I wore them on a day where it was snowing, the high was 23 degrees with 15 mph winds while I was jumpshooting ducks off a local river, so it was bitter cold. I wore the pants with no thermals underneath. Surprisingly, my legs were comfortable all day. Not wet, not cold, nothing…. and I didn’t overheat on the hike back to the truck. These pants are the best hunting pants I’ve ever worn and were worth every penny. I really look forward to wearing them scouting this summer and hunting elk and mulies this fall. Love these pants. I’m 5’11” 210 lbs. Work out regularly. These pants stretch and don’t sag in the back side. Waist in 36 on the tape. And ordered a 36. Fit great. Oh crack! These pants have got through two seasons of hard hunting, with me. They’re like wearing a pair of pjs, but durable! I love the pocket lining. It feels great. No items have fallen out of any of the many pockets. They do pick up “stick tights”, in the Midwest, but are easily shed with a butter knife. Pair these with SKRE underlayers, and you can’t go wrong. They buck the frigid wind, yet you can regulate you temp on hot days, with the hip vents. A feature that isn’t mentioned, yet should be on every pair of pants made, is the thin silicone band, inside the waist. It securely holds any shirt in place, so that you can be in all sorts of positions without fear of your shirt coming untucked. I do wish that the crotch had more room, but I guess it keeps me more streamlined, so I don’t have a rudder digging into the ground, when crawling. I literally want to wear these pants every day.